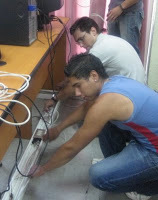 Since FEDES began its Vocational Training program in 2002, it has developed over 30 vocational training courses, each of the curricula certified by the ISO, nationally and internationally. 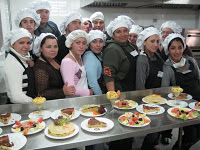 Courses include various aspects of culinary arts and food processing technologies (the only school of its kind in all South America), local and international cooking, pasties and confectionery, bar-tending and dining services, garment tailoring and domestic design, nursing and elder care program, computer IT and networking, pre-school childcare, secretarial school, industrial cleaning, customer service;as well as carpentry and house building, furniture making, plumbing (both industrial and home) and electrical courses. The school commands a 96% attendance and graduate record, and following the completion of the course, a minimum of 80% (and climbing) of graduates acquire immediate employment through the FEDES network of partners, which includes multinational companies and five-star hotels, etc. All photos and text © 2013-17 by Grant Montgomery.